iDECT seem to have taken on board some of the criticism lodged at their previous Android enabled home cordless phones (iDECT iHomephone Series), which were panned for using outdated Android OS and poor touchscreens. This time round, both new models run on the latest version of Android (4.2.2. 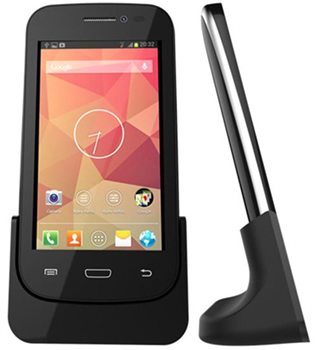 Jellybean), boast a Dual-Core Processor, and feature capacitive multi touch (5 Fingers) screen (4”for Smart 64; 6” for Smart 66). Compared with the Smart home offerings from cordless phone heavyweights – Gigaset (SL930A) & Panasonic (KX-PRX120) – the iDECT Smart range measures up favourably against the competition. With Wi-Fi and Smart Bluetooth technology built-in, you can turn the Smart 64 and Smart 66 into more than a home phone, with the prevalence evermore Smart Home products, you could use your iDECT Smart Home phone or “phablet” (not entirely convinced that name’ll catch on but stranger things have happened) as the interface to your connected home. Control lighting, heating, home security, entertainment, baby monitors & more. Whilst you can add to the pre-installed Apps by downloading more directly via Google Play. Both models feature a 0.3MP VGA camera at the front for the purposes of enabling video calls, which for a modern home phone makes sense as it’s always going to be connected to your home Wi-Fi network and is a more relaxed environment for face to face contact with distant friend or family. 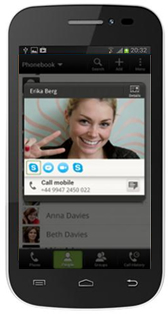 Video calls can be initiated via Hangout or Skype. In addition to all the advanced features of the Smart phones, you can also expect the functionality normally found on a landline cordless phone. A phonebook for storing up to 1,000 contacts (with the facility to synchronise via Bluetooth), Caller ID for identifying incoming callers, and superior sound quality of landline calls. The Smart 64 comes equipped with a 1500mAh Li-ion battery for a continuous talk-time of up to 10 hours and standby of up to 150 hours; whilst the Smart 66 boasts a 2500mAh Li-ion battery. This entry was posted in News and tagged Cordless home phones with Android on 27/01/2014 by Craig.